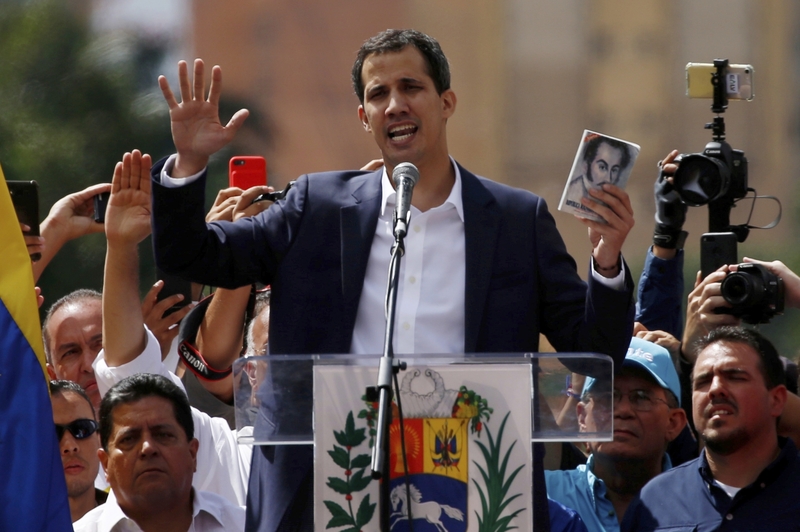 The Bolivarian Republic is experiencing an unprecedented crisis after the US and many of its Latin American allies from the so-called “Lima Group” recognized Juan Guaidó as the country’s “interim president”. The 35-year-old head of the National Assembly seemingly came out of nowhere in his meteoric rise to power and symbolically declared himself the head of state on the national holiday of 23 January, which commemorates the day when a Venezuelan strongman was deposed in 1958. This attempted usurpation of power came just days after the leaders of a failed low-level military mutiny called on the people to take to the streets in support of regime change. There’s no doubt that what’s happening right now in Venezuela is the culmination of the years-long Hybrid War being waged against it by the US. The economic warfare of the past combined with some governmental mismanagement to produce an economic crisis that gave birth to Color Revolutionary unrest and terrorist stunts such as the attempted assassination of Maduro last summer by an explosive drone. The Constituent National Assembly that was elected in 2017 was the President’s most prominent effort to tackle the crisis, but this legal body isn’t recognized by the US and its allies. Instead, they claim that Guaidó’s National Assembly is the only legitimate legislative force in the country, despite the Supreme Court recently ruling that all of its actions since then have been illegal. Nevertheless, their recognition of this shadow structure as the state’s only official one is the pretext under which the US and most of its Latin American allies recognized Guaidó as the head of state after he swore himself in as “president” and called on the armed forces to overthrow Maduro. The military pledged loyalty to the constitution and is therefore determined to support Maduro, but there’s a very real risk that this latest Color Revolutionary unrest will trigger a self-sustaining cycle of Hybrid War destabilization that might escalate to the level of a civil war or even a foreign invasion if this preplanned and coordinated multilateral regime change operation succeeds. In that scenario, Venezuela would be left on its own to fend off this aggression in spite of its multipolar partnerships. Russia and China aren’t capable of directly defending Venezuela even though they’ve voiced their support for international law, and their real national interests rest with ensuring that Caracas repays its billions of dollars of loans to them and respects the energy and military deals that were previously signed despite not having any way of guaranteeing that will happen if Maduro is overthrown. Therefore, the most likely international outcome of his ouster would probably be that the Washington-backed coup “authorities” would declare those deals null and void, after which they’d likely open up the world’s largest oil deposits in the Orinoco Belt to US companies. The long-term repercussions are that the US could challenge Russia and Saudi Arabia’s OPEC+ alliance and advance its “Fortress America” geopolitical project in the Western Hemisphere.